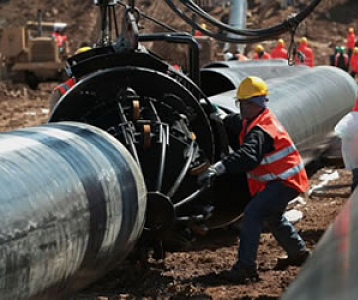 TBILISI, DFWatch–EU countries Tuesday approved 217 million euros in support for energy infrastructure in the south and southeast of the European continent, including a study of a gas pipeline to Europe from Turkmenistan, via Georgia. The 15 projects were selected following a call for proposals under the Connecting Europe Facility (CEF), an EU funding program for infrastructure. Among the winning proposals is one by the company Dogalgas Iletim which will carry out a study of the TANAP project, the expansion of the South Caucasus Pipeline and the Trans Caspian Gas Pipeline. The study will cover details including engineering for pump stations, pipeline monitoring system and the security system for TANAP, according to a Commission statement. The interconnector linking gas networks in Romania, Bulgaria, Austria and Hungary will also receive EU funding. In March, 2015, the three presidents of Georgia, Turkey and Azerbaijan launched the Trans-Anatolian Natural Gas Pipeline (TANAP) project, which is a gas pipeline to the EU, bypassing Russia. The project is known as the Southern Gas Corridor and is aimed at reducing Europe’s dependence on Russian gas. The cost of the project is about USD 11 billion and it is expected to be completed in 2018. The initial capacity of 16 billion cubic meters is to be increased to up to 23 billion within a few years after completion, and up to 31 billion by 2026. Monday, Iran expressed interest in joining TANAP, after the 12 year old sanctions on the country were lifted on January 16. Mohsen Pak Ayeen, Iran’s Ambassador to Azerbaijan, told journalists that Tehran is capable of joining major regional projects such as TANAP. “We will participate in all projects that are beneficial to us,” Pak Ayeen said.